Strong bright colours, soft and easy to work, dense pigment concentration. Unlimited blending possibilities. 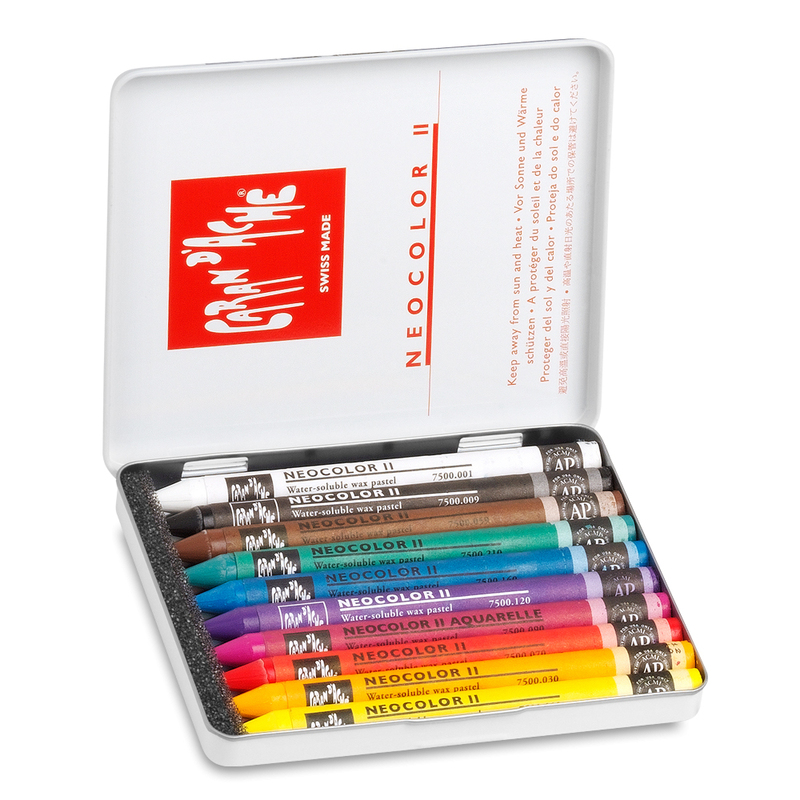 NEOCOLOR II water-soluble wax pastels are a product of Caran d’Ache innovation.They combine the expertise of a specialist in colours with the great “Swiss Made” tradition. They are exceptional, both for their quality and the techniques they make possible. This is the opportunity for all professional and amateur artists to fully express their talent and imagination. Click here to see which colours are included in each set.